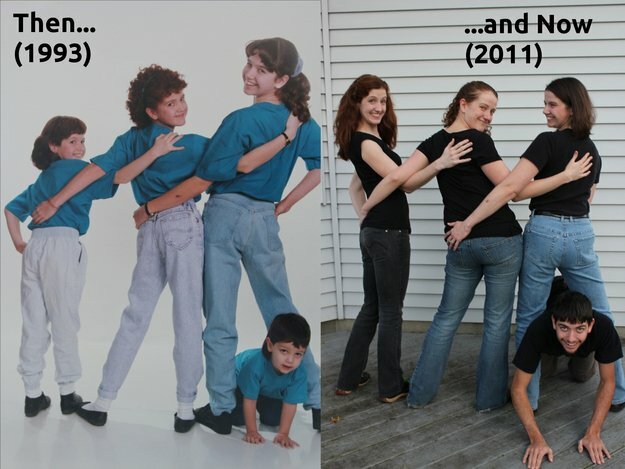 Family photos in a now and then shoot can be awkward. 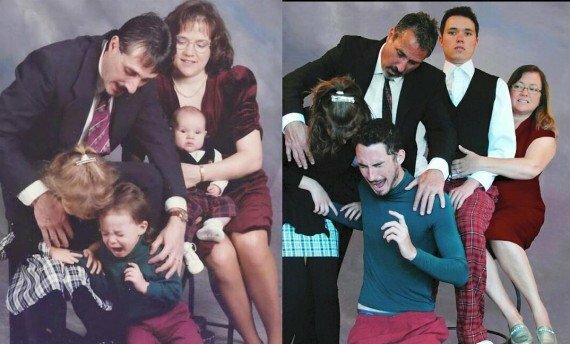 When recreating family portraits gets awkward. 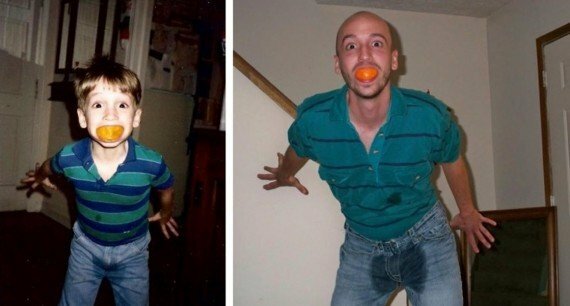 REALLY AWKWARD. 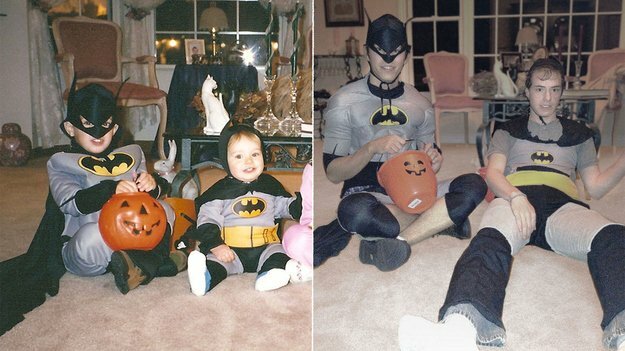 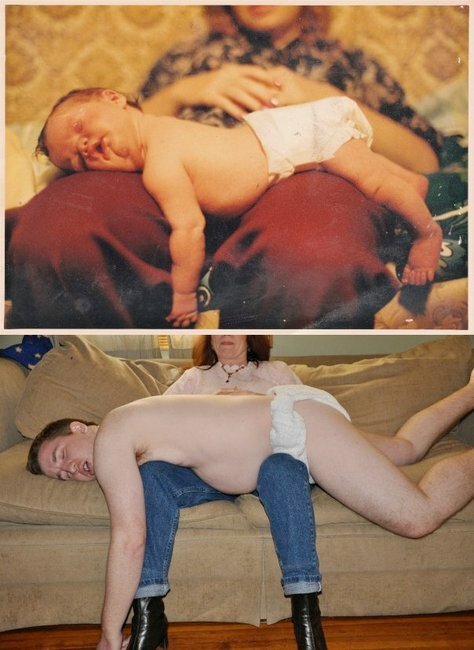 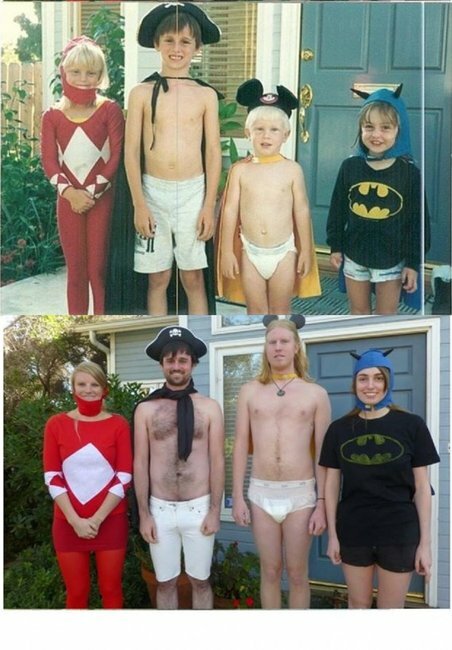 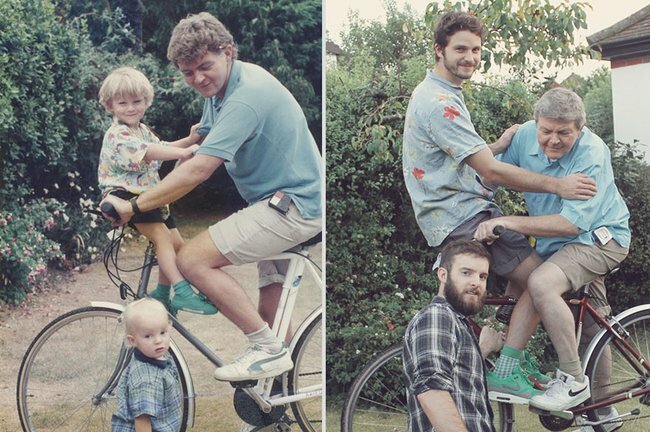 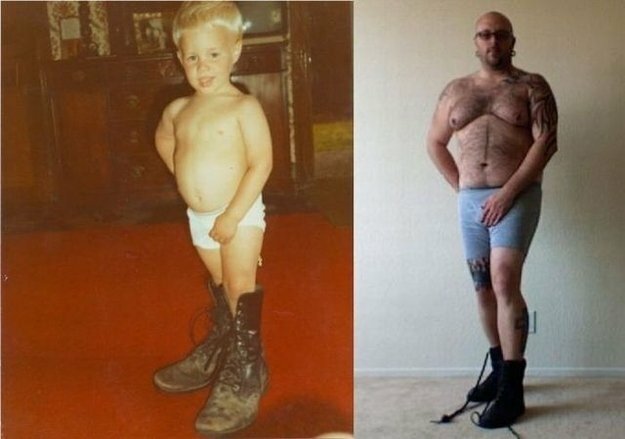 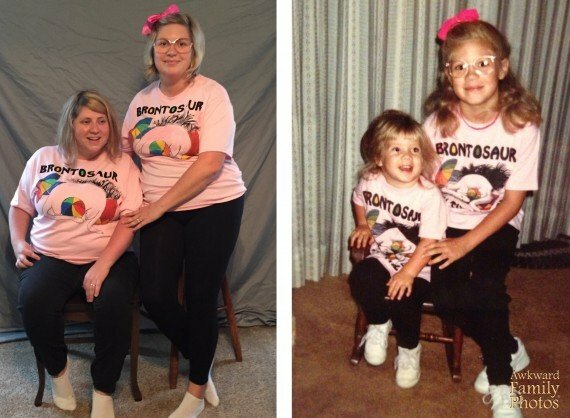 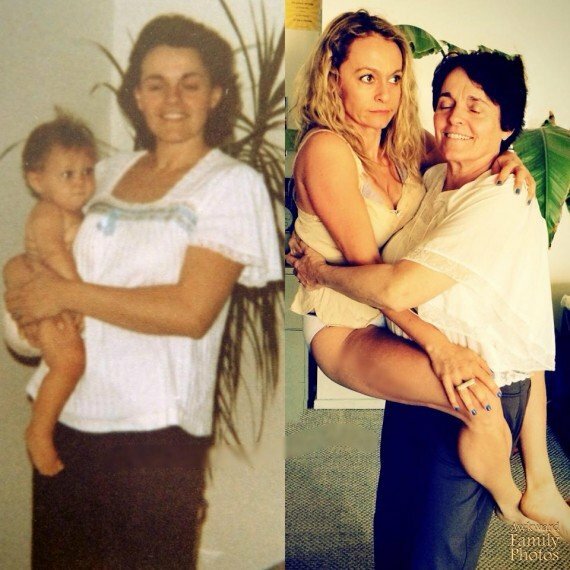 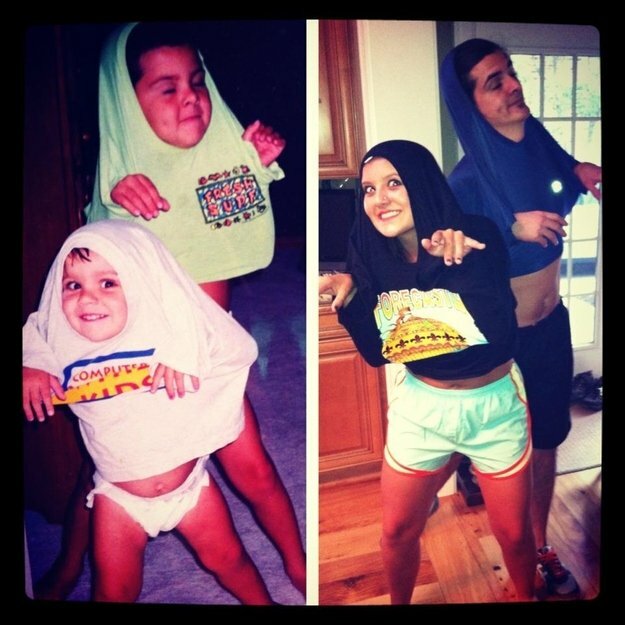 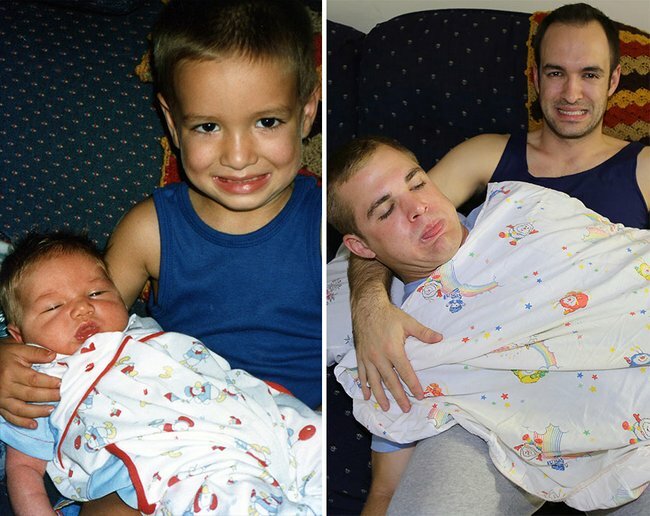 Remember how hilarious it was when adult children recreated their childhood photos for their parents? 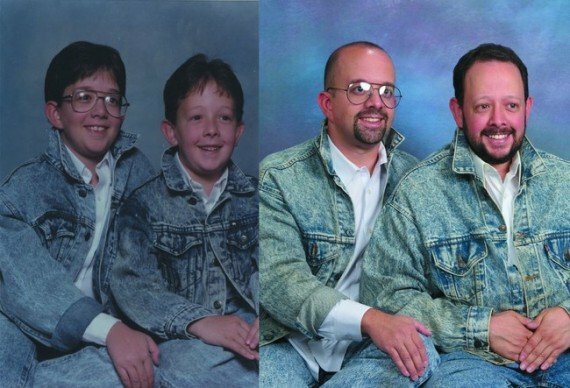 But some of them aren’t funny. 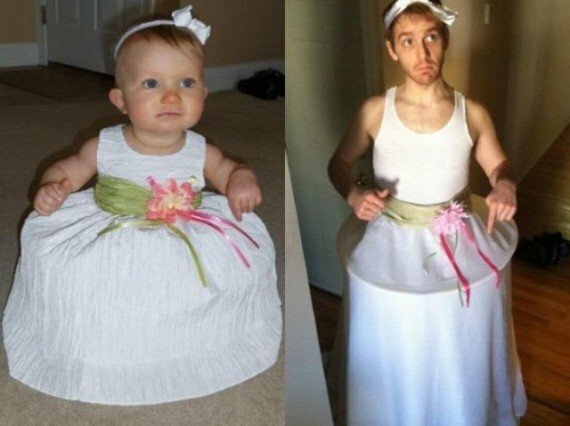 Some of them are creepy. 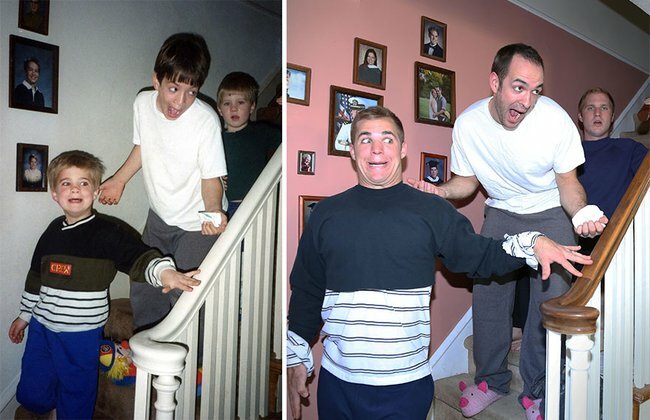 Really, really creepy. 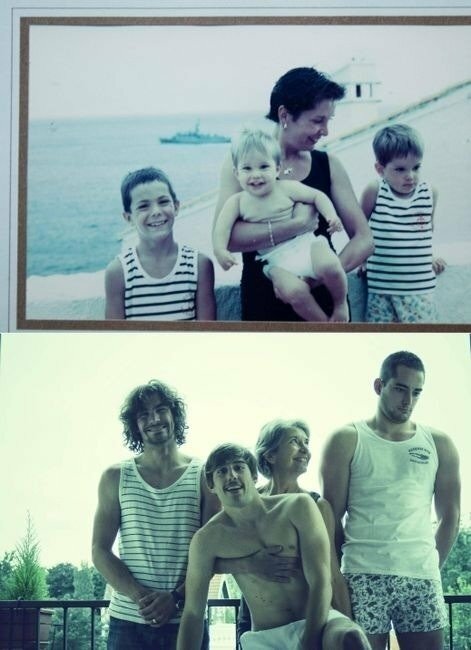 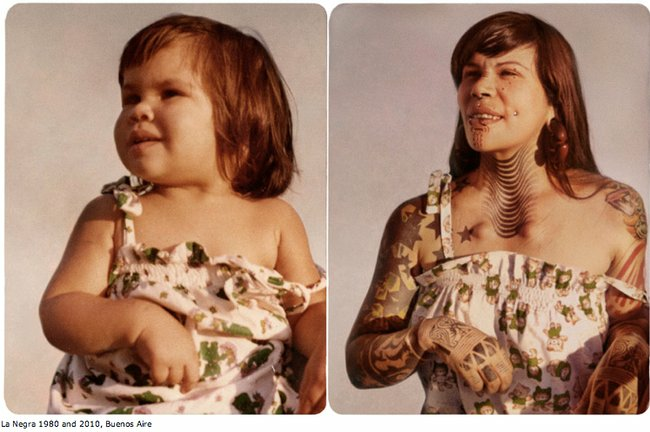 Yes, that’s why you shouldn’t try to remake an old family photo. 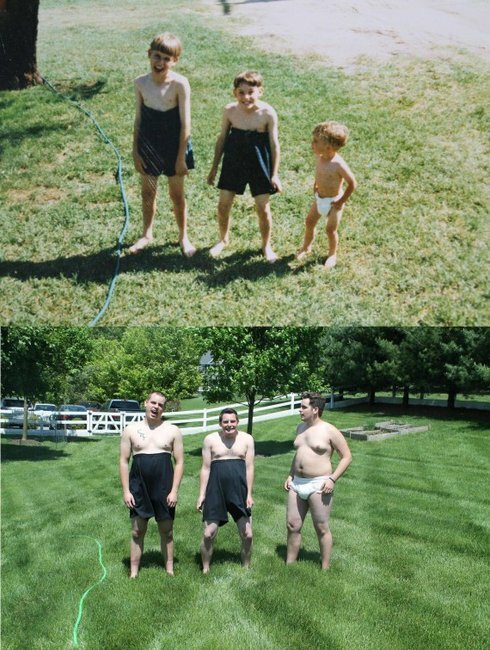 Because being naked in front of your siblings is very HURTFUL TO THE EYES. 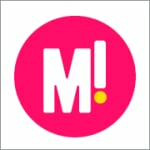 It seems some people did not heed this warning/good common sense and went ahead with it anyway. 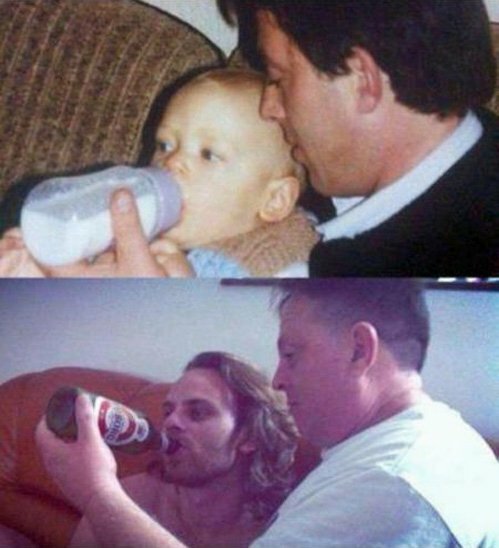 Idiots.